I could probably sum up my recent long weekend in Anguilla with one word – paradise – but I realize that would not accomplish my goal of sharing my travel experiences to inspire readers on the prowl for their next vacation destination. So…..see the brief round-up immediately below and details following that. Travel – Jet Blue from JFK to Saint Martin, approximately 4 hours. We then took a ferry with a company called “Fun Time” from the airport to Anguilla, which was about 20 minutes long and $65 per person (http://www.funtime-charters.com/anguilla-ferry.html). There is also a public ferry that costs $15 per person but leaves from the Dutch side of the island, so you would need to take a 20 minute (approx. $25) taxi ride to take that ferry. Surprise Perk – The people in Anguilla are absolutely lovely. They are incredibly warm and friendly and in the short time we were there we got a sense that the island is one big community of friends. We met a bunch of other tourists, all of whom were so friendly as well! To note – the Caribbean Sea was much cooler than I had thought it would be. I’m not sure if the temperature of the water was chilled by the “weather” passing through the area when we were there, but nonetheless I did expect a warmer dip in the sea. Also the beach at the Viceroy was not as calm as I would have liked, especially for kids. 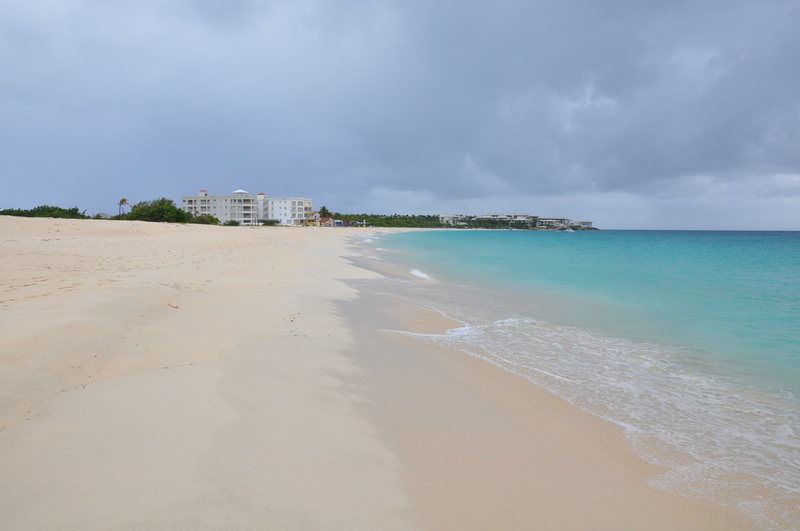 My husband and I did not know what to expect out of our trip to Anguilla, other than that we were excited to get away for a few days and have some down time. After a great flight on Jet Blue, we arrived in St. Martin assuming we would take the public ferry to Anguilla. We had tried to book a flight from St. Martin to Anguilla (about a 10 minute flight) but the local flight schedule did not coordinate well with our international flights. 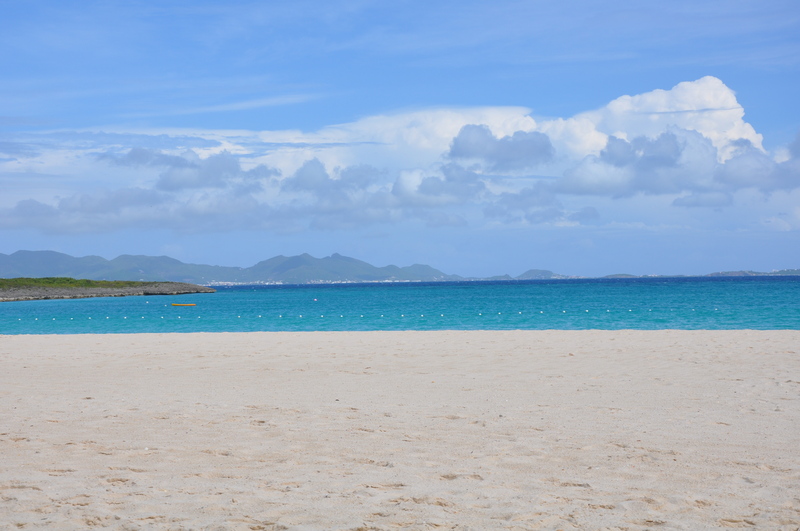 As we were walking toward the airport exit we saw a woman holding up a sign that read “Ferry to Anguilla – Fun Time”. We approached her and she told us that the Fun Time ferry (http://www.funtime-charters.com/anguilla-ferry.html) would be leaving very shortly and from a dock one minute from the airport. Although the price was $130 for the two of us as opposed to the $30 public ferry, this seemed easy and convenient so we went with it. Had we taken the public ferry, which leaves every 45 minutes, we would would have had to take a taxi to the other side of St. Martin and then we would have some wait time before the next public ferry departure. As it turned out, we had to wait 30 minutes for that ferry to leave, but since we were sitting comfortably by the water, enjoying the breeze and the views of the marina, we were quite relaxed and already felt like we had “arrived” on our vacation. After a 20 minute ferry ride with too many “swells” for my liking, we docked at Anguilla took a short taxi ride to our hotel, the Viceroy. It was at that moment that I realized we had really “arrived”. 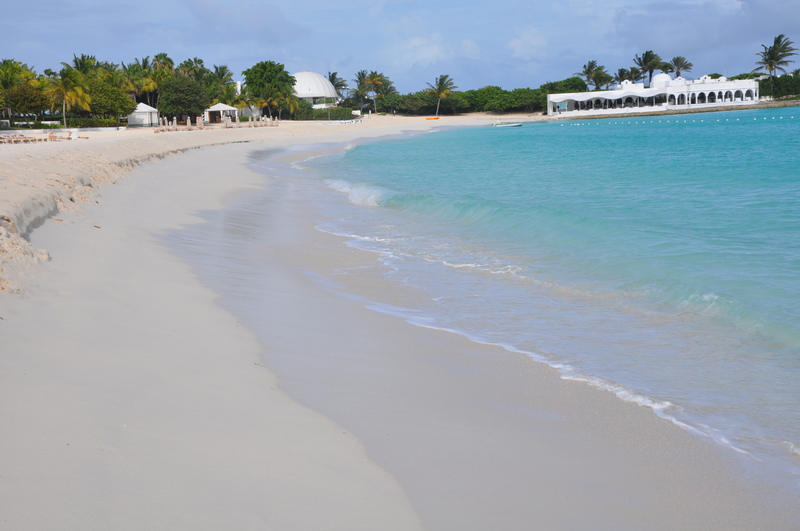 From the time our taxi made the turn into the Viceroy’s long, beautifully manicured driveway to the time we would leave four days later, we were blown away by our experience in Anguilla. 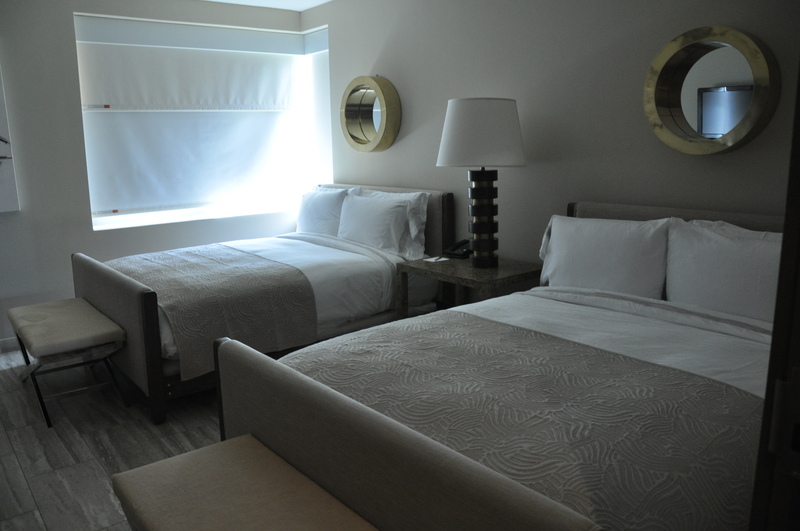 The Viceroy fit our aesthetic to a tee – modern yet warm and inviting. 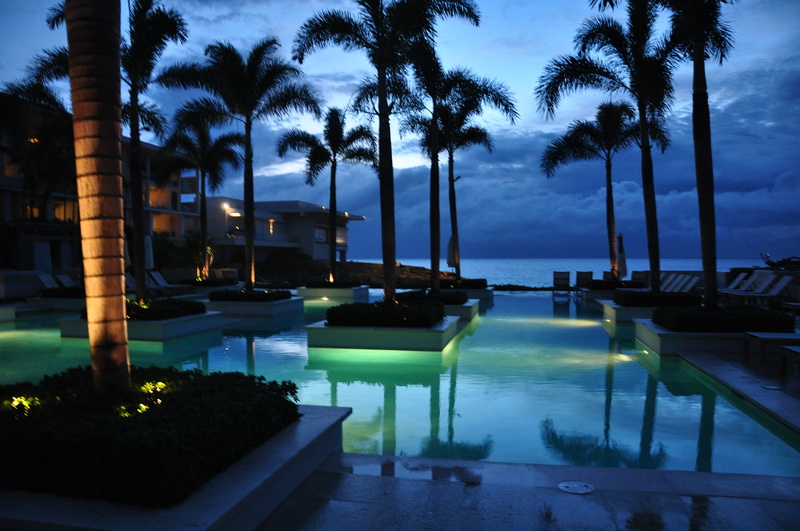 The property sits directly on the Caribbean Sea. It is beautifully situated along the coastline – part of the property is separated from the sea by huge limestone rocks, and another part of the property sits directly on a long beach with the powder-soft sand. The hotel has three gorgeous pools – so perfect that I thought they might simply be reflecting pools until I saw people swimming in them – and each has breathtaking views of the sea. 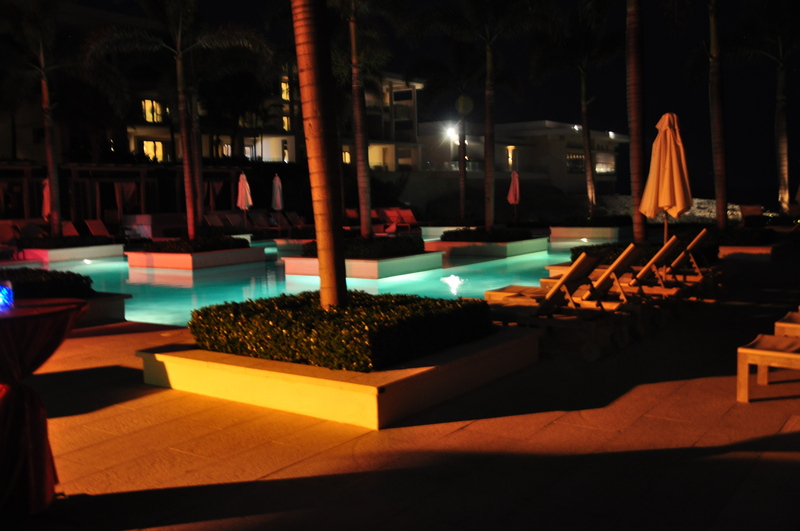 Also, each pool is conveniently located next to a restaurant, lounge or bar. 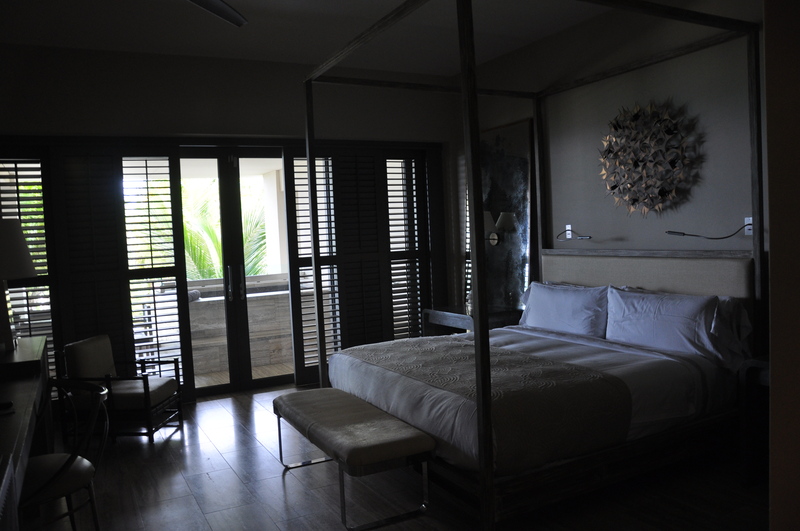 Our room was truly incredible. We had booked a one bedroom “residence” and were upgraded to a three-bedroom residence. 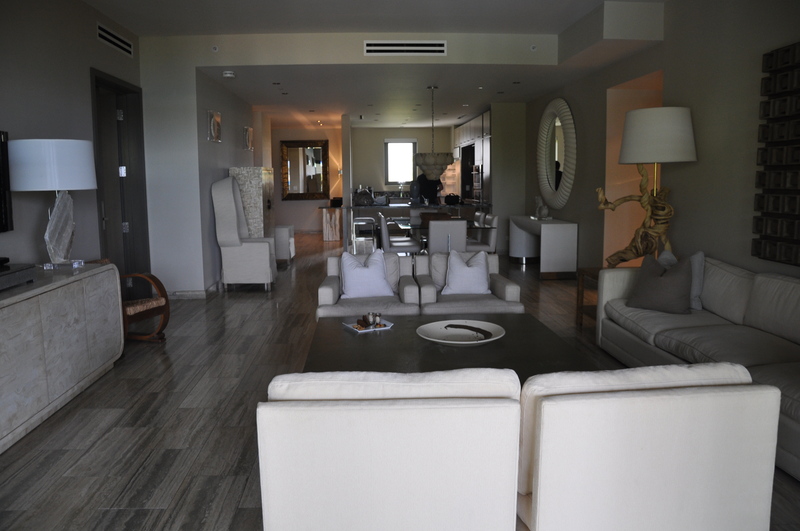 The residences have full kitchens and are available for purchase. 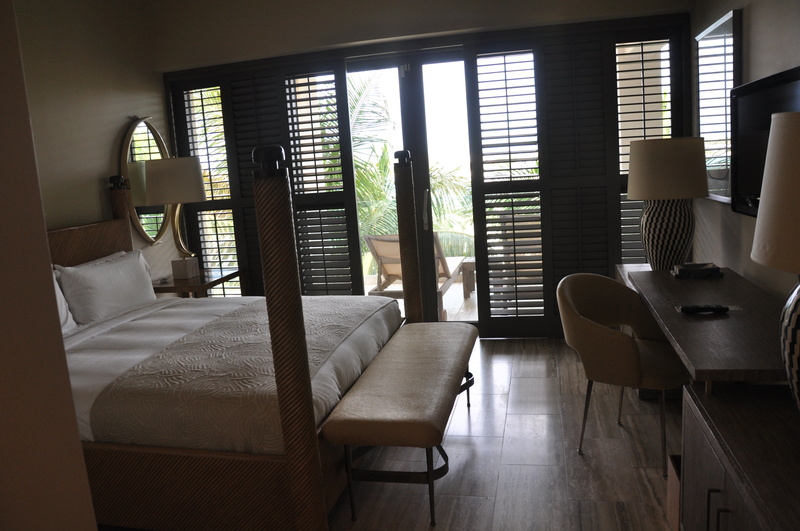 Ours was beautifully done in neutral tones and had a massive ocean view terrace. On the terrace was a couch, lounge chairs, a dining table and a jacuzzi. We ate at each restaurant at least once and we were impressed with all of them. Breakfast at Aleta was absolutely perfect. It had everything from a spread of fresh pastries and breads, juicy fruits, an omelet station, hot and cold cereals and breakfast meats. Lunch is served at Aleta as well, although we did not get a chance to sample it as we ventured outside the hotel midday most days. We had dinner at Coba one evening and we were blown away by the beautiful dining room and setting. 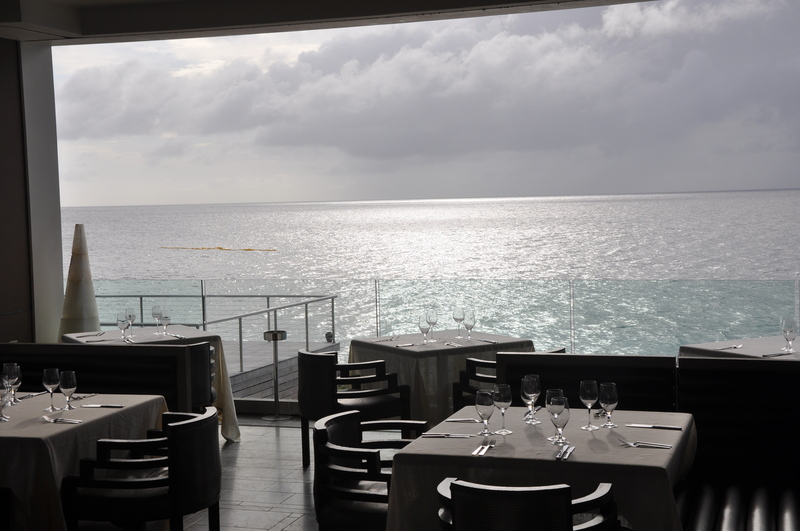 Because the restaurant is perched on the rocks above the sea, all we could see was water around us. It felt like we were on a yacht. The food was very good although it was difficult to compare with the setting. 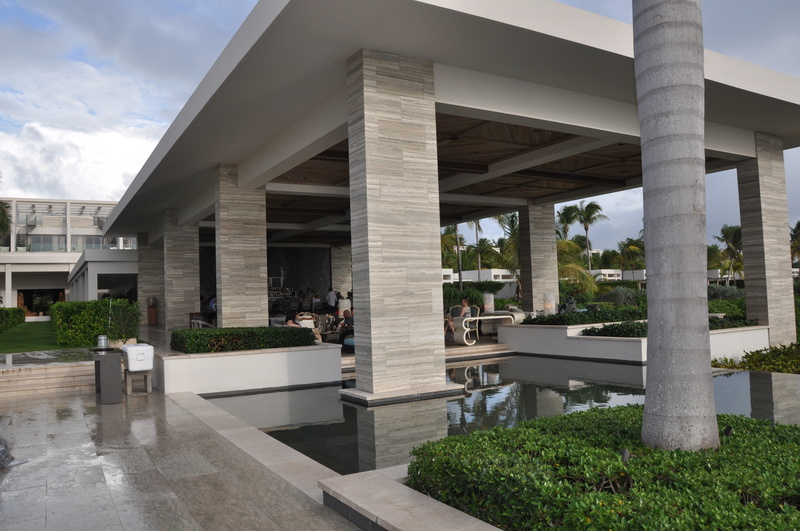 We spent quite a bit of time at the Sunset Lounge, an open air lounge which is also situated by the sea, and overlooked a beautiful, infinity edge pool as well. Both the drinks and the sushi at Sunset Lounge are worth writing home about (the Ginger Collins is killer!). Sunset Lounge has a great DJ that played almost nightly during our stay and a fun, lively vibe. During our visit, they hosted late afternoon activities as well, like bingo (winner gets treated to spa services!) and rum tastings. Also on the property is a full spa and fitness center. The spa is a destination unto itself, with its own boutique and indoor and outdoor seating for relaxation before, between or after services. My husband and I each had massages that were terrific. The fitness center is not huge, but it has a good selection of equipment and is well kept. At every machine is a clean towel and cool bottle of water. There are spin classes offered in a separate spin room, as well as yoga classes each morning (by the beach!). On some weekends, Barry’s Boot Camp offers classes as well. The hotel also has bikes available for guests’ use. They offer a bike tour of the western portion of the island, which is given daily at 8am. On our first day we relaxed by the pool and then made our way to the Sunset Lounge. Later that evening we went to Veya (http://www.veya-axa.com/) for dinner. Veya is a wonderful little jewel box of a restaurant about 15 minutes (and a $25 taxi ride) from the hotel. It sort of feels like you’re eating in a tree house there. Both the food and the service were terrific. It was at Veya that I learned the danger of “ting”, an Anguillan grapefruit soda often used to sweeten cocktails. We had such a great meal that we repeated the experience on our last evening, this time with awesome live music by Omari Banks (a singer/songwriter vorn and raised in Anguilla). One day we took an 8:30am yoga class, which was held outdoors between the pool and the beach. It was a gentle class but perfect for vacation. Our teacher Sammi was great and super friendly. We then treated ourselves to a huge breakfast (a daily theme for us!) and relaxed by the pool until lunch time. For lunch we walked down the beach to Blanchard’s Beach Shack, which is a super casual, outdoor restaurant located directly on the beach. They have a great menu of Mexican-inspired dishes. We ordered a bunch of items, grabbed a table in the sand and relaxed with drinks until the handheld buzzer they gave to us indicated that our meal was ready. 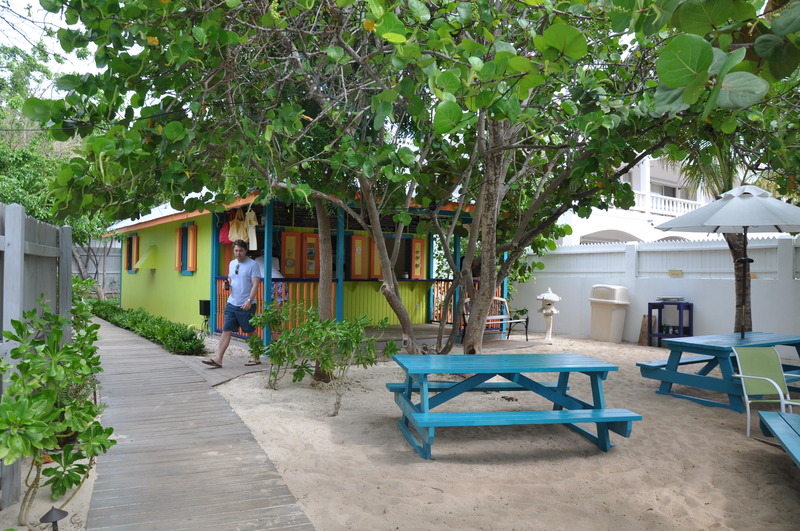 Directly next door to Blanchard’s Beach Shack is Blanchard’s Restaurant, which we are told is terrific. We had reservations there but never made it – I think because we got stuck at the Sunset Lounge at our hotel and couldn’t bring ourselves to leave! 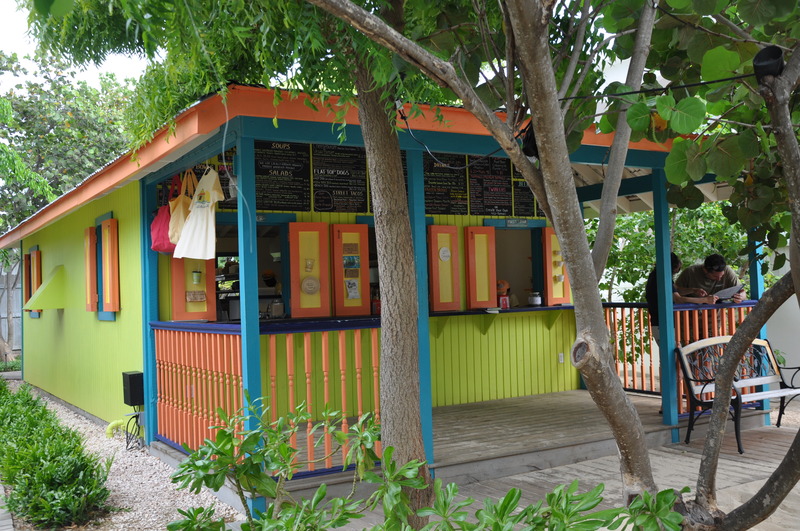 There are also a couple of other restaurants along the beach just a walk from the Viceroy – Straw Hat and Jacala – both of which are supposed to be great for lunch or dinner. Another day we borrowed bikes from the hotel and rode over to Cap Juluca for lunch. 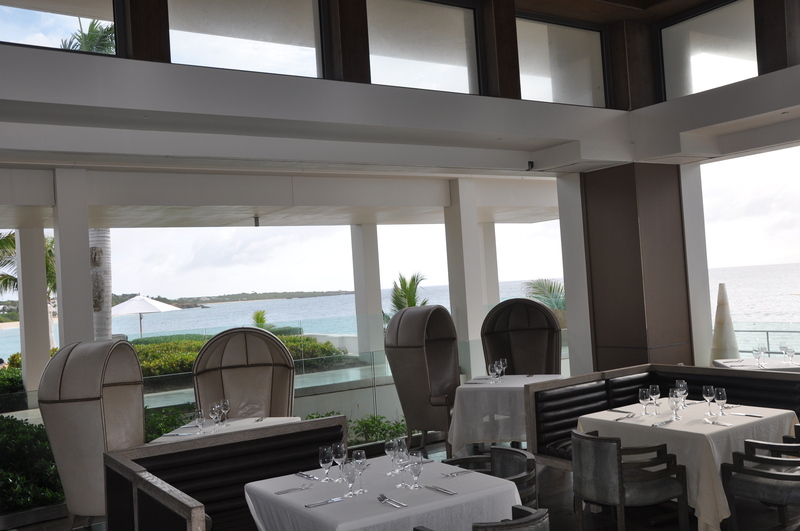 Cap Juluca is a beautiful resort located about five minutes from the Viceroy, on Maunday’s Bay. While the beach there is incredible, it is an older property and its age was apparent in some of the structures. We had a nice lunch though at Blue, located on the beach. We also took a bike tour one morning, which gave us a flavor for the west side of the island outside of the hotel. Our guide, a hotel employee, was so warm and engaging. He took us to the island’s most famous bakery, Geraud’s, on the way back to the hotel! There is so much we did not get a chance to do or see during our short stay. 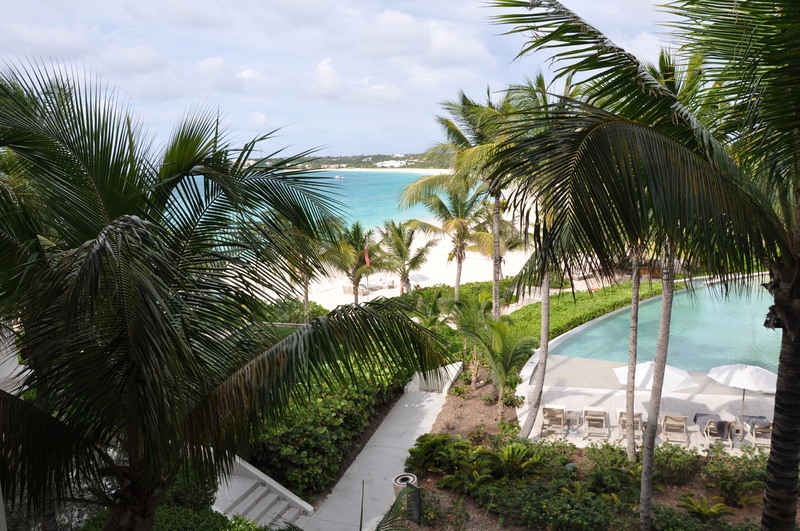 We did not get a chance to play tennis on the hotel’s courts and we also missed out on day trips to Sandy Beach, Prickly Pear and Scilly Cay, all of which are tiny islands off the coast of Anguilla that serve lunch and, from what I hear, a mean rum punch! If you want to go to one of these islands you need to plan in advance because they may not be open every day, depending on their hours and the weather. Also, even though our children were not with us, we both wanted to swim with the dolphins, which is just a few minutes away from the Viceroy. And we would have loved to go on an ATV tour! Oh well, there’s always next time….and if we have it our way, there will definitely be a next time! One last note – the gift shop at the hotel, called “The Nook”, is terrific. It is very pricey but they had some great, original clothing and jewelry items! 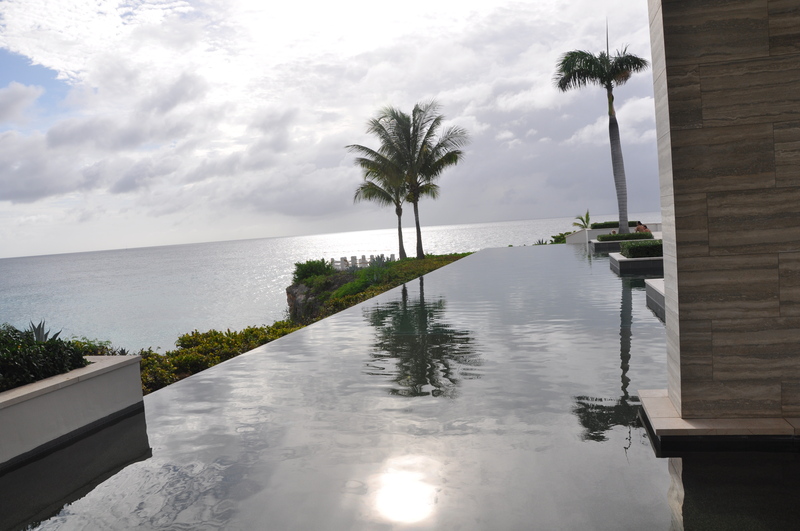 This entry was posted in Anguilla, Caribbean by travelesq. Bookmark the permalink.